A dedicated and skillful team for every market segment, who are always ready to help and give you a personalized service. That’s how we make the difference! 9.5h a day, 5 days a week, we're ready to assist you personally. With more than 20 years of experience in the tyres industry, Jean-Marie is the expert when it comes to tyres. What was the original tyre size again for that car? Where can I find that specific tyre? From oldtimer to 4x4 and van: Jean-Marie knows the answer, for sure! Even for wheels you can give him a call, since he knows a lot about them as well. Quote: Respect is earned, honesty is appreciated, trust is gained, loyalty is returned. An is our newest sales colleague and stands by Jean-Marie’s side. Every day she processes all the webshop orders and searches for the best prices. Do you want to know the delivery time of a tyre, you have a worry our you just want a little chat? An is the perfect person for that. Quote: Worries for tomorrow, one day too soon. 25 years in the wheels industry made Marc the wheels specialist he is today. 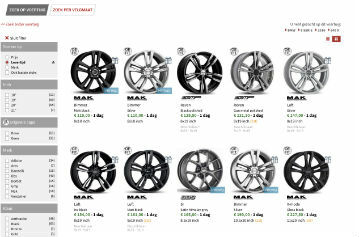 What wheel size is perfect for my car, are they within regulations for the technical control,…? Marc knows the answer. Quote: You don't lose if you give up , but when you have never tried! Véronique is a known name at Atraxion and she recently joined Marc at the wheel department. 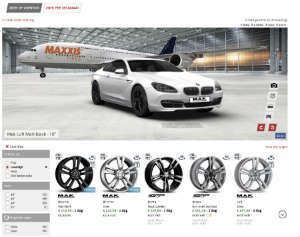 Véronique helps you in choosing the perfect wheel for your car and is in contact with foreign suppliers. She will also help you with a smile when you need TPMS-sensors, bolts, nuts, rings etc. With more than 4 years of experiencing in the tyre industry, Véronique can easily help you with tyres as well if necessary. Ennio is our ATV specialist, his job is purchasing and selling all that’s ATV and 4x4! He’ll gladly advise you on anything ATV. Wheels, tyres, accessories…Ennio knows what he’s talking about. Quote: Love the life you live & live the life you love. Tine was the first woman in the sales team and in time she has become an established value for all that is 4x4. She is keen to help you find the best bullbar, winch, roofrack,… for your 4x4. In between she has also picked up a bit on ATV knowledge, so with those questions as well, will she be happy to try and help out. Quote: Yours may be fast, but mine can go anywhere. And then one day it happens: your computer shows an error upon ordering on our webshop, no worries, Matthias will help you out. Or you want to show our stocks on your website, use our wheels 3D simulator, have any other IT related issue; Matthias is your man! After a year of gaining experience in the tyres department, Jasmine is also ready to represent AtraXion with word and image. Ranging from a small post on social media to a brand new catalogue, Jasmine accepts the challenge. We can’t imagine AtraXion without Fanny anymore . Whenever customers have questions about invoices, direct debit, credit notes, or other; Fanny is ready to help them with a smile. Quote: NothingThere isn't a way things should be. There's just what happens and what we do. Ilse sometimes seems to have more than two hands, as intermediary for the warehouse and our sales team. She follows up on all transports and takes care of the accounting for suppliers. With her smiley personality, Ilse makes a big contribution towards the atmosphere at AtraXion. Quote: Don't worry, be happy. Thanks to her years of experience in the tyres industry, Seija is without doubt a valuable addition to the dynamic AtraXion team. Her commercial insights and knowledge will help her lead the administrative team. With her hands-on mentality, Seija will help out where needed in busy times. A successful man needs a strong woman: that’s Karin, Jan’s wife. She’s responsible for the human resources and the entire accountings department. She looks after accountings, salaries, working hours, company safety regulations,… Karin is a good friend and the mother of the group. Jan is the passionate founder and manager of Atraxion. He founded the company in 1995 and works devotedly day and night in the company. He has an extensive car knowledge, but he excels in 4x4, old-timers and those ‘special cases’. Everything is passion: the relation with our clients and suppliers, the interaction with employees, the brands we distribute,… . Finally Jan is also our shepherd, he watches over us and sees to it we love going to work every day. Quote: If you aren't doing what you love you are wasting your time! Werre is our warehouse manager and oversees everything. With his years of experience in the operation and processes of a warehouse, Were knows how to get his the full potential out of each of his workers. When problems do surface, Werre will fix them with ease. Quote: Enjouy today, you never know what tomorrow may bring. Our smiley Remco is the newest addition to the AtraXion Team. He does the warehouse administration : incoming and outgoing goods, transport, problems…nothing escapes Remco’s attention. That’s why he also aids Werre with the mechanics of the warehouse. Quote: The journey of a thousand miles begins with one step. Quote: Don't weaken, keep peaking! Many years of experience made Werner a well know face at Atraxion. He loads, unloads transports and does picking of the orders. We can count on him to make sure your ordered tyres, wheels and accessories arrive on time. Quote: An apple a day keeps the doctor away! Sammy is responsible for all wheels accessories. Need bolts and nuts? New caps for your wheels? Sammy will make sure everything is send out correctly. As jack-of-all-trades he helps the others with order picking and will happily mount a new set on your car. Quote: Be yourself, there are enough others. Jean has been active in the car industry for more than 30 years. He is our independent representative, who visits clients and informs them about our extensive webshop. Jean is a walking encyclopedia concerning car models. In recent years, he applied himself to tyres and wheels accessories: spare wheels kits, Trax balance weight, nuts, rings,... and especially TPMS valves are his area of expertise. Quote: Wise in his way and not yet that grey. Did you know that Piet’s actual name is Mark? Piet isn’t really that old, but he has been selling wheels for more than 30 years! He sends and receives hundreds of Whatsapps daily, about wheels and cars. Piet is obsessed by wheels and he wants to assist his clients as fast as possible with word and deed. In the evening, Piet relaxes by cleaning his horses stables...and even there you can reach him! Quote: A day without a smile is not a day at all.